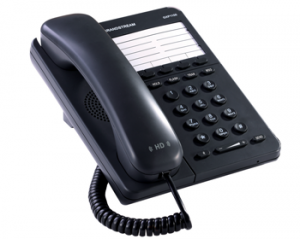 GXP1100/1105 is a next generation small business IP phone that features up to 2 calls with 1 SIP account, 4 programmable keys, single network port, integrated PoE(GXP1105 only). The GXP1100/1105 delivers superior HD audio quality, leading edge telephony features, automated provisioning for easy deployment, advanced security protection for privacy and broad interoperability with most 3rd party SIP devices and leading SIP/NGN/MMS platforms. it is a perfect choice for a small business, lobby, and hotel applications for a high quality, basic IP phone with attractive cost. English, German, Italian, French, Spanish, Portuguese, Russian, Croatian, simplified and traditional Chinese, Korean, Japanese, etc.